Hit your stride in free-moving comfort in The North Face Women's Kick Up Dust Skort, all-purpose running wear perfect for your active lifestyle. The skort consists of a boy-short liner and a tennis-style skirt. 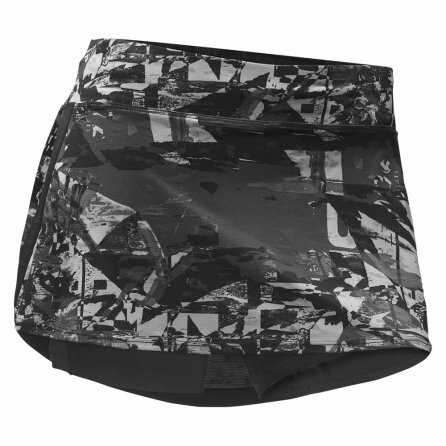 The liner is done in breathable mesh, while the skirt is a lightweight jersey fabric. The whole thing is powered by FlashDry™, a sweat-wicking, quick-drying technology that helps you stay comfortable on your route. Functional details include liner stow pocket, back waist zipper pocket and reflective accents. I love the North Face skorts and my only complaint is that I wish there were more!! More colors, more styles please:) I have the black skort that is almost identical to this and now I have this newer style which I love. I wear these skorts out and about to run errands, go sightseeing, anything that has me outdoors and active in he warm weather. It looks great so I can wear it to restaurants or any public place, but I can also be active and know that I'll feel comfortable at all times.